The Thompson PTO is always in need of helping hands for all sorts of tasks. From selling community cards to helping clean-up after movie night to helping plan one of our many events: the link below lists all of the many ways you can give of your time to help your Thompson Community. Is there an accountant in the house? As a 501(c)(3) registered charity, the PTO is seeking the assistance of a CPA to prepare our form 990-EZ for FY17. If you or a family member are a CPA who would like to make an in-kind donation of free or reduced-rate tax preparation, please contact us at thomptreas@gmail.com. Only 38 more families needed to reach our participation goal!!! The Direct Donation Drive is coming to an end in 2 days! So far, 212 families have participated, and we need only 38 additional families to meet our 250 family participation goal! If you have been putting off making a contribution, NOW is the time to act! Send a check in your kid’s backpack or make a contribution online. Click here to DONATE NOW! No donation is too small. 100% of your donation goes toward enriching your child’s educational experience. The Thompson PTO is a 501(c)(3) tax-exempt organization, so your contribution is tax deductible! Check with your employer to see if you have a matching gift program; many of these programs match contributions dollar for dollar, and some will even double or triple the amount of your gift! Email friends and family to help us meet our goal by making a donation in your child’s name. Well, it looks like the end is in sight and a new beginning is on the horizon! With the installation of the required fireproof windows last week, the major requirements are in place and the General Contractor can petition for a Temporary Certificate of Occupancy. Right now there is not a firm date of when we will open in the new space, but I am shooting for the Monday after Veteran’s Day. I will have more information in the coming days, but wanted to give your this brief update as soon as possible. We will likely put a call out for parent assistance with moving, so please stay tuned for more on that. I also wanted to ask for your help with the ongoing parking space issue on North Union. I am asking that if you “see something, say something.” Parents continue to park in teacher spots and it is causing much disruption to the start of the day. If you see someone pulling in to one of those spots, please either remind them that they are not drop off spots, or take down the license plate number so that I can ask APD for their assistance. Lost and found continues to multiply! Please check the rack outside of the cafeteria if you are missing something, and even just stop by to double check that you are not! We will be donating all that’s left during the Thanksgiving Break. (Did I really just say that Thanksgiving is coming?!) Please, please, please label every little bit of belongings with your child’s name – even their gloves, hats and boots! Are you looking for part-time job? Do you like working with children and even seeing your own during the school day? Well, we are in need of additional lunch and recess staff! The hours are 10:30-1:30 each day, and I am open to having people work even 2-3 days/week if that’s what works for them. Please spread the word and anyone interested should contact me. Looking forward to a strong start to November! The kindergarten enjoyed a beautiful day on Friday October 27th during their field trip to Crescent Farms in Haverhill, MA. The children took a hayride past cornfields and grazing cows to the pumpkin patch, and each child got to pick their own pumpkin to bring home. They also got to see ducks, rabbits, sheep and goats and enjoyed a snack of apples and pop corners. It was a great fall day on a working New England farm. On October 23rd the students in 4th grade visited MassAudubon’s Habitat Education & Wildlife Sanctuary. It was wonderful for them to be outside in the warm autumn sunshine, while learning about soil ecosystems from Habitat’s resident ecologists. The students learned that on each fallen twig, under every log, and in each pile of leaves, there are animals and other important living things. Students explored this “hidden” habitat and discovered the decomposers that are constantly working out of sight. This field trip directly ties to the in-classroom learning that took place this fall around soil and soil ecosystems. And, this enrichment opportunity was funded through the Thompson community via its support of the PTO. Thank you! Our lost and found is overflowing. Stop by and you may find your lost treasures! Fall Family Sales continue through December 8th. With the holiday season approaching, keep the “makes for great holiday gifts!” pitch on your mind as you are chatting up the card – especially to folks with teenagers! What teen wouldn’t love free popcorn at the Capitol and discounts at Chilly Cow, La Victoria, Andrina’s etc. To sell cards, fill out this form. Please “Like” our Community Card Facebook page! Post your own visits to, and/or savings experiences at, participating Community Card businesses to Facebook or Twitter, and reference #ArlCommCard. The Arlington Board of Health will be hosting a flu clinic for the students and staff of Thompson Elementary on November 15th from 7:45 AM to 9:45 AM. Mrs. Donato will be sending out a link from the Board of Health to register your child for the clinic over the next few weeks. Paper forms will also go home in the next few weeks as well. 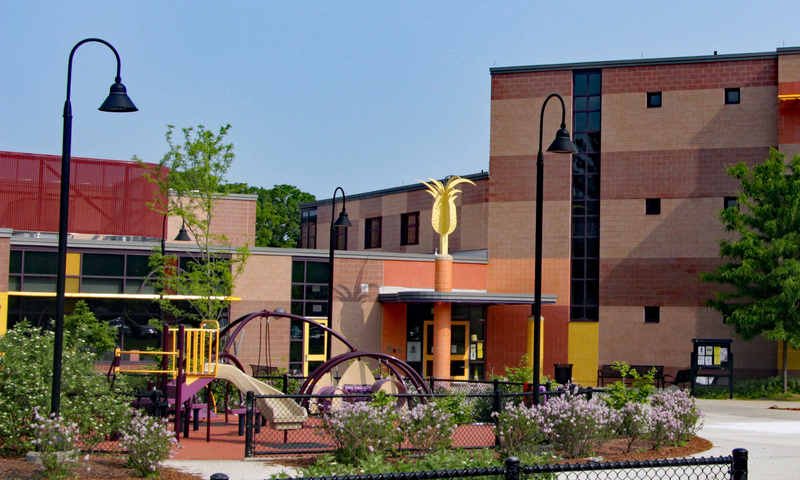 In addition, November 16th will the general clinic for Arlington children 6 months – 18 years at Ottoson Middle School, 63 Acton Street (5 PM to 7 PM) where parents are welcome to attend with their child. All are invited to the 12th annual Waldo Park Halloween Party on Tuesday the 31st. We’ll gather at the Park beginning at 4 pm, and we’ll have a costume “fashion show” that’ll start around 4:30 – 4:45 pm. A light dinner (hot dogs and veggie items) will be served after the fashion show, so that all who wish can eat a meal before trick-or-treating. (Waldo Park is located at the end of Waldo Road, off Cleveland Street, between Mass Ave and Broadway). Come dance, sing, and create community, all in the space of one short evening. Join us—alone, or with family or friends—and transport yourself to cultures far away. We’ll try contra dancing from New England and French Canada, plus international folk dancing from places as far-flung as Eastern Europe, the Middle East, Tahiti, and Africa. Escape into a world of dance as others around the world have done for years, decades, and sometimes centuries. The nature of this dance is traditional, participatory and inter-generational. If you can get yourself to Arlington High School, we can get you dancing and laughing! For ages 8+, $10 at the door. Arlington Orthodontics is gearing up for the Annual Halloween Candy Buy Back Event to benefit Arlington Elementary School PTOs and our troops serving abroad! Children / Parents are invited to drop off their leftover Halloween Candy at their office November 3th and 4th. They will give the child or parent $2 / lb (max $10) as well as make a matching donation to the child’s school PTO. All candy is shipped to troops serving over seas! Last year, we sent over 1000 lbs of candy to our troops and raised over $1800 for Arlington Elementary School PTOs! We had a great showing from all 7 of the Arlington Elementary schools. Join Dr. Nora Shine, child psychologist, at Ottoson Middle School on November 7th in a warm and engaging talk about keeping children safe from sexual abuse. “The Privates Rule” teaches empowerment, sexual abuse information and strategies. This talk will show a framework for integrating abuse prevention into good parenting and teaching practices by calming and confidently addressing concerns. You will learn how to recognize adult behavior that should raise concern and you will leave feeling informed, empowered, and eager to use strategies outlined in her presentation. The Board of Youth Services (BYS) is once again organizing the Annual Thanksgiving Food Drive to provide Thanksgiving food and food staples to families in need during this time of year. Families with school-aged children in Arlington are welcome to participate. If you would like to receive extra food for the holiday please use following link to register: http://bit.ly/2yrxaRv If you have trouble with this link you may email: bys.arlington@gmail.com The deadline for signing up is Friday, November 10th. Sign up today. The BYS is also coordinating a gift card drive, and it is our hope to distribute grocery store gift cards to each of the families who have signed up to receive food. Distribution of gift cards will take place on Monday 11/20 and Tuesday 11/21. We will contact registered families via email by Friday 11/17 to confirm the location and time of gift card distribution. Food will be distributed on Saturday, November 18th from 9:30am – 3:30pm at the Arlington Food Pantry,117 Broadway. If you have any questions please contact the Arlington Board of Youth Services at: bys.arlington@gmail.com. Thompson is participating in Stop&Shop A+ Bonus Bucks Program, in which our school receives a check based on the amount of purchases made by people with Stop&Shop cards. Enroll your Stop&Shop card. with Thompson’s school code: 07331. For families looking for extra information, unfettered access to our weekly newsletter, volunteer opportunities, the link to shop at Amazon (your purchases benefit all Thompson students via the PTO! ), contact info and soooo much more, please pop over to our site, and be sure to bookmark it. We will be making changes to the content over the coming weeks, but the link will remain the same. 115 more families to make our participation goal!!! The Direct Donation Drive is coming to an end in less than 2 weeks. So far, 135 families have participated, but we still have a long way to go to meet our 250 family participation goal. If you have been putting off making a contribution, this is the time to put it at the top of your to do list! Send a check in your kid’s backpack or make a contribution online. Click here to DONATE NOW! Email friends and family to help us meet our goal by making a donation in your kid’s name. We also want to send a big thank you out to My Brother’s Place Pizzeria and the Capitol Theater for their generous donation of popcorn. Don’t forget! The Capitol Theater is also on your Community Card, good for a free small popcorn when you buy a movie ticket. Keep up the good work! To join the sales effort, fill out this form here. Green Team After School Nature Adventures! The rain date for each adventure will be the following Friday. *If the weather is warm, bring gear for water play. If your family has a kayak or canoe, feel free to bring them..
We hope to continue to share our nature adventures with Thompson as we advocate for system wide changes such as industrial composting to curb climate change and protect our natural environment. If you support composting, recycling and the Thompson PTO, there is an unique opportunity to champion composting and recycling at all PTO events. Contact Elizabeth Rocco at egrocco@gmail if you are interested in being a Green Team champion! Put on your costumes and enjoy some kid-friendly frightly fun! Spooky Walk is an annual volunteer-run event, where around the perimeter of the pond you’ll enjoy jack-o’-lanterns, punny gravestones, and silly mad scientist skits. Enter via the Jason Street entrance. FREE. Dia de los Muertos – Day of the Dead Festival! The Fiesta shares in the rich Mexican tradition of honoring loved ones who have passed away, with Mexican food, live Mariachi music, memory altars (ofrendas) and FREE festive activities for all ages like face painting and celebratory crafts. This event also coincides with the final day of the Arlington International Film Festival at the Capitol Theatre. 10/29/2017, 1:00-2:30pm, Thompson School gym, $10/adults, kids free, Community Card holders half-price – $5! Please join the Board of Youth Services for the annual Out on the Town Gala, to support the Arlington Youth Counseling Center (AYCC). This year’s event is extra special as we recognize and honor Arlington’s own Dr. Michael Thompson, a renowned child psychologist, school consultant, international speaker and New York Times best-selling author. His books – nine in all, among them Homesick and Happy, Best Friends/Worst Enemies, The Pressured Child, and Raising Cain – have become popular references on bringing up children in the world today, with illuminating insights on the emotional lives and experiences of children and adolescents. Over the course of his career, Dr. Thompson has worked in more than 700 schools across the country and around the world, and has served as the supervising psychologist at the Belmont Hill School. As a popular headliner for Arlington Parent Forums, Dr. Thompson’s gentle guidance, wise counsel, and extraordinary wit have guided Arlington parents for more than a decade. The Out on the Town Gala is an annual event in which community members come together to support the work of AYCC and promote the importance of having affordable, high quality, and community based mental health services for Arlington residents. Over the past year, AYCC provided over 5,500 counseling and psychiatric sessions to more than 375 youth and families, case management services to more than 80 Arlington residents, and support, education and advocacy for members of the community who have experienced domestic violence. AYCC has been able to offer these services thanks to the funds that are raised through the Gala, grants, corporate sponsors, and individual donors. In addition to honoring Dr. Thompson, the gala features many wonderful silent auction items and raffles, beautiful live music from the Arlington High Jazz band, an array of delicious hors d’oeuvres, and a cash bar. Tickets may be purchased for $75 through AYCC’s webpage- arlingtonma.gov/aycc. Sponsorship opportunities are also available. For more information visit arlingtonma.gov/aycc or contact Colleen Leger, Executive Director of AYCC, at 781-316-3255.